Have you never been Mellow? Gina Kolata’s NY Times article today about rude and indifferent physicians certainly rings true with most of us. Alongside those crack troops at the Division of Motor Vehicles, I cannot think of another group of professionals who care less about customer service. Long waits, callous or rude attitudes and a total lack of concern on the part of most docs has punctuated many of my visits over the years. Which is why Dr. Ellen Mellow is such an exception to the rule. Since being referred to this NYC-based internal medicine specialist, I never cease to be amazed at the time and care she provides. Dr. Mellow knows exactly what my past history is, and goes above and beyond to discuss different approaches to solving whatever ails me at the moment. She also takes the time to ask about people I’ve referred to her, wanting to know how they’re faring, etc. Compare that, if you will, with the statistic in Kolata’s article stating that most patients have 18 seconds to talk about their worries, questions, etc., before their doc will cut them off and move on to the next patient. Sadly, with too many patients and too few docs, there isn’t much incentive for doctors to start behaving better. But there may be relief in sight. In California, eight major health insurers have a new program in which they divide $30 million among 35,000 physicians depending upon how their patients rate them. Hopefully, that will get their attention. As for Dr. Mellow, if she was incentivized based upon her patient caring, she’d be living in the same ultra upscale neighborhoods as T.O. and some of those other pampered sports superstars. Rain or shine, Manny the coffee guy is there every morning at the Middletown train station. In addition to dispensing a piping hot cup of coffee and a big grin, Manny greets everyone by first name and wishes them "god speed" on their daily journeys. Manny is a great example of someone who takes the time to nurture his client base and perform at a consistently high level of customer service. While he may not be a Harvard MBA, Manny instinctively knows that, by treating people well, he’ll develop deep, long-lasting relationships. Contrast that, if you will, with three recent examples of very "un-Manny-like" performances we’ve encountered. In one case, a small client of five years faxed a termination notice in which they misspelled our name twice in the body of the message (I thought that was a nice touch). In two other instances, we’re still trying to get five minutes of time from a couple of large, multinational organizations we recently pitched. In letting us know we hadn’t won either account in their form-letter e-mails, both corporations said they’d be available to provide additional, personalized feedback. Yet, despite repeated attempts on our part, neither has had the courtesy to respond. In an industry where most agencies win approximately 1 in 10 pitches, this behavior isn’t shocking. I’ll bet if Manny was head of corporate communications for any of these organizations, he’d have acted very differently. Manny would know that his actions reflect on the image and reputation of the organization, and would have treated us gracefully and in a timely way. And knowing Manny, he would at least have remembered our name. Do you think the model might be broken? The 20th annual Salz Survey of Advertiser-Agency Relations is just out, and it ain’t pretty. survey history. So, what’s up with that? Man, there are a lot of unhappy advertising types out there. Elliot and his advertising media brethren continually miss the mark. 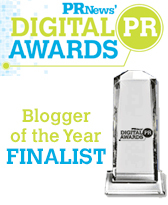 blogging, mobile marketing, word-of-mouth and God knows what else. new and different ways to stay ahead of changing consumer behavior. Ever hear of public relations? In an attempt to off-set weak online sales, mega retailer Wal-Mart is going upscale. 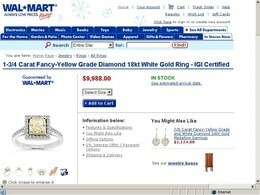 According to an article in today’s NY Times, affluent web surfers will now be able to purchase $7,500 plasma screens, a $10,000 white gold ring and many other high-end accessories on Wal-mart’s online store. Sorry to rain on the Bentonville Behemoth’s parade, but this is one marketing ploy that ain’t going to fly. Can you imagine anyone with the disposable income necessary to acquire such baubles going to Walmart.com? It strains credulity. I can almost picture some mega rich doyenne of Manhattan society confiding to a friend, "Well darling, Bergdorf’s simply didn’t have the range of cashmere coats I was looking for, so I logged on to walmart.com and found a dreamy $5,000 sports jacket that’s just right for Biff." Brands often go astray when they deviate from their long-established positioning. And, while there are certainly exceptions to the rule, Wal-mart isn’t going to be one of them. I just don’t think we’ll be hearing that familiar disembodied voice in Wal-mart stores adding this potential corollary anytime soon: "Attention Wal-mart shoppers. In addition to today’s sales on tissues, paper plates and napkins, and a super reduced price on steak knives, we’ll be offering Patek Phillipe’s new Sprig line of wristwatches on walmart.com." Attention Wal-mart: stick with the marketing strategy that got you where you are. The only true American holiday? I was jogging by the local church, St. Leo the Great, when I happened to read their latest posted message (you know what I mean, those ersatz signs you see in front of everything from Amoco dealerships and motel chains to schools and churches that list sales and specials as well as obscure lines of poetry or proclamations of "great" import). Anyway, the St. Leo’s message board got my attention. It read, "Come celebrate Thanksgiving, the only real American holiday." And that got me thinking. Oh really? What about the Fourth of July? What other country celebrates that holiday? Or, how about Memorial Day? Labor Day? Or, even Groundhog Day, which is a big deal in Punxatawny, Pa. Seems to me they’re all uniquely American holidays. The problem with making a declarative statement that is so obviously false is that it invites speculation. For example, one might think: "If they’re mistaken about Thanksgiving being the only uniquely American holiday, what else are they getting wrong?" While St. Leo’s is only one small cog in the juggernaut that is the Catholic Church, its misstatement underscores that an organization’s image and reputation is only as strong as its weakest link. And, that a mistake in one area could lead to confusion in others. Will St. Leo’s correct their signage? Probably not. 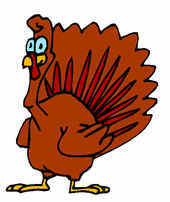 But, here’s hoping that Uncle Sam or Punxatawny Phil are out jogging and spot it in time to draw a line through the word "Thanksgiving" and add their own uniquely American holidays as well. 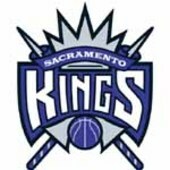 So, the brilliant marketing minds of the NBA’s Sacramento Kings recently decided to welcome the Detroit Pistons by picking on the Motor City itself. Apparently, just before their game a few days ago, the Kings decided to flash scoreboard pictures of Detroit that included abandoned buildings, burned out cars, piles of rubble and other negative images. Was their intent to whip up the home town fans’ hatred of the visitors? Or did they want to "get inside" the heads of the Pistons’ players and get them so enraged that they’d forget the basics of roundball? Regardless of the rationale behind the decision, one has to wonder why the Kings’ marketing people would pick on a team that’s already notorious for its all-out brawl with the Pacers last season is a mystery. To make up for the egregious miscalculation, the Kings have run a series of print ads apologizing to the Pistons and the city of Detroit. Kings spokesperson Sonja Brown said, "We all feel terrible that we made just a big mistake, and we want to communicate that." I’m sure David Stern and his NBA front office cohorts appreciate Brown’s apology. They need "big mistakes" like this like they need the proverbial hole in the head. The whole league has a huge image problem. I was just in Portland, for example, where local fans call their team the "Jailblazers." Teams "dissing" one another’s home towns is just another incendiary step on the road towards another massive conflagration a la the Pistons-Pacers brawl. What’s next? Kidnapping opposing team’s mascots? Burning enemy players in effigy? Perhaps Congress needs to step in as they have with the baseball steroids scandal. One thing is for sure: this stuff can’t keep happening without severe repercussions. Ad agency Goodby Silverstein made a ballsy judgment call recently when it walked away from its $80 mm relationship with Discover Financial Services to pursue the much larger Visa USA, a direct competitor. Sadly, Visa announced today it would select an Omnicom agency to be its new AOR, leaving Goodby with zero clients in the credit card sector. I think most professionals would admire Goodby for its bold decision. They went for the brass ring and lost. You can’t say they don’t have guts. On the other hand, smallish clients might think twice about hiring the firm in the future, thinking they’ll be discarded like yesterday’s newspaper when a larger, more attractive competitive client attracts Goodby’s attention. It’s all part of the client-agency mating ritual which, as Lewis Carroll might say, just gets curiouser and curiouser. 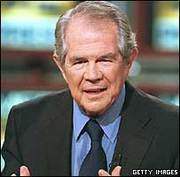 In the aftermath of Tuesday’s election results and the decision by Dover, Pa., voters to oust all eight Board of Education members who had supported the teaching of "divine intelligence" in town classrooms, televangelist Pat Robertson issued a warning. In effect, he told Dover residents not to be surprised if their town was visited by a variety of plagues as a result of their decision to continue supporting the teaching of evolution in schools. Now, I don’t want to go near such an inflammatory issue as "evolution vs. divine intelligence," but I do find it interesting that a leading, right-wing Christian spokesperson, whose political agenda is to win over "undecided voters" to the cause, would make such an incendiary comment. Why alienate the more moderate-thinking mainstream electorate with such a fire-and-brimstone statement? I can’t remember too many recent examples of organizations wishing to attract undecided voters or customers by using such scare tactics. But, who knows? Maybe Robertson is at the cutting-edge of a new marketing strategy. As for residents of Dover, I’d keep an eye open for signs of any late-season locust visits. What you Talkin about Willis? Landon Thomas Jr’s. article in today’s NY Times was dead on in terms of CEOs needing to be more direct and concise in their comments. 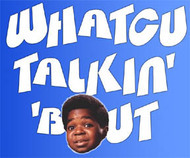 Some of the quotes from the CEOs in the text reminded me of the old TV sitcom Diff’rent Strokes, in which child star Gary Coleman used his signature line, "What you talkin about Willis?" whenever he didn’t understand what his older brother had just said. Having media trained hundreds of executives over the years, I’m struck by how many of them struggle to explain their organization, its mission and its points of differentiation in a clear, concise manner. Obviously there are exceptions to the rule, but many senior executives tend to ramble in initial media training sessions. Some use "corporate speak" that may be understood within the confines of their business but leaves us totally baffled. Others come across as hard sell sales guys trying to close a prospect. Others still don’t understand how the media work, and think that by putting on the charm they can achieve a positive story. *Tell the reporter what’s keeping your customers or prospects up at night. *Quantify and qualify the pain as best you can. Explain how your organization provides a unique solution to the pain. Illustrate the explanation with colorful anecdotes, etc., but don’t stray off message. *If appropriate within SEC guidelines, paint a forward-looking picture for the reporter about your industry and your role within the industry. The goal here is to begin to establish a relationship with the reporter and position oneself as a thought leader. By sticking to that format, most executives are able to "win" the interview and avoid the Gary Coleman response from reporters. The people who work for these outfits could have been trained by the Abu Ghraib guards on customer service. They’re mean, surly, short tempered, and they certainly don’t seem to realize the affect their behavior is having on the reputation of the institutions they serve. But maybe, as with the guards, we should look at the kind of training and incentives their bosses are providing on how to work with those in their care. I suspect that their own rewards for good — or even lousy — performance are a lot more motivating. In the meantime, the rest of us poor slobs just sigh in resignation as yet another train is broken down, another flight is endlessly delayed, and another representative tells us with an appalling lack of sincerity to have a nice day. Hat tip to Ann Barlow for her thoughts.